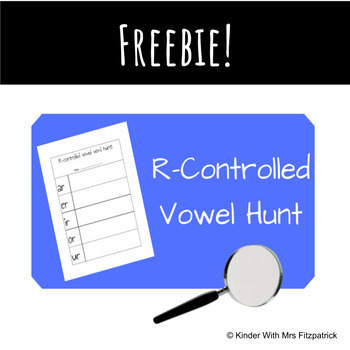 After learning about R-controlled vowels students can use this "word hunt" to find examples of words with R-controlled vowels. I have my students look around the room and search in books. As students find examples they write them in the boxes. 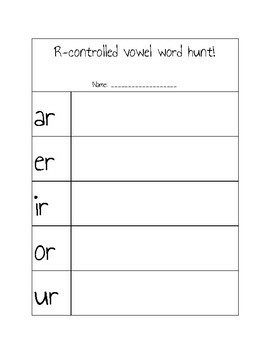 My students LOVE word hunts!